Dr. Shinska, our amazing dentist on the ground in Uganda, works with a team of indigenous staff to serve the needs of Jinja and surrounding rural communities. Last Monday, a boy named Daniel came into the clinic in tremendous pain. It took a few appointments, but Dr. Shinska provided him with the treatment he needed. Not only is he no longer experiencing any pain, but his teeth are cleaner and healthier than they’ve ever been! Daniel said he feels really great and is excited to finally return to school. 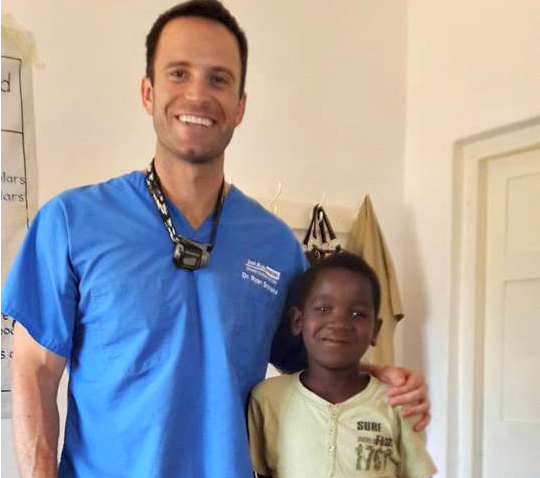 Then he paid Dr. Shinska one of the best compliments he could ever hope to receive — Daniel said he wants to be a dentist when he grows up!